Deciding whether to buy or rent can be difficult. Your lifestyle, financial situation and long-term plans should all factor into your decision. Oftentimes, the amount of money you spend on rent each month ends up being as much as — or even more than — a monthly mortgage payment. If you decide to rent, your money won’t be an investment in equity. You won’t get it back if you decide to move because you’re not selling your home, and you can’t borrow against it for special purchases or emergency expenses because you’re not building equity. It’s just gone. Appreciation. Homes are a long-term investment. Many homes increase in value as the debt attached to them decreases, and many types of improvements can add to the total value. With renting, what you see is what you get, and there’s no return on investment if you leave. Equity. When you build equity, you’ll eventually have the option to borrow against it to gain access to funds for improvements or major purchases through certain programs. Stability. Rent costs can change dramatically, but with a fixed rate mortgage, your payments will stay the same each and every month throughout the term of your loan. ​Deductions. Mortgage interest and property taxes are usually tax deductible. Other aspects like points and application and appraisal fees may also be deductible. Consult a tax advisor for further information. 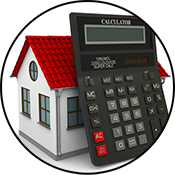 ​If you’re tired of renting and want to start investing in your future by buying a home, but are unsure if it will make financial sense, contact us for a more in-depth calculation based on your specific information. 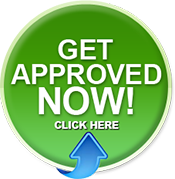 You can get pre-qualified for a home loan with just a few minutes and without needing documents or files.